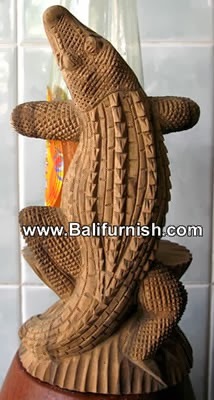 Bali wood handicrafts wholesale. This is unique wood carvings from Bali. It is bottle holder made of wood. Hand carved by Balinese craftsmen living in villages across Bali Island. Good quality and made of hard wood. These wood carvings available in clear finishing or dark brown. Please browse our online catalog located for more Balinese wood carvings bottle holders.